A woman passes by the IBM offices in New York City, U.S., October 17, 2016. 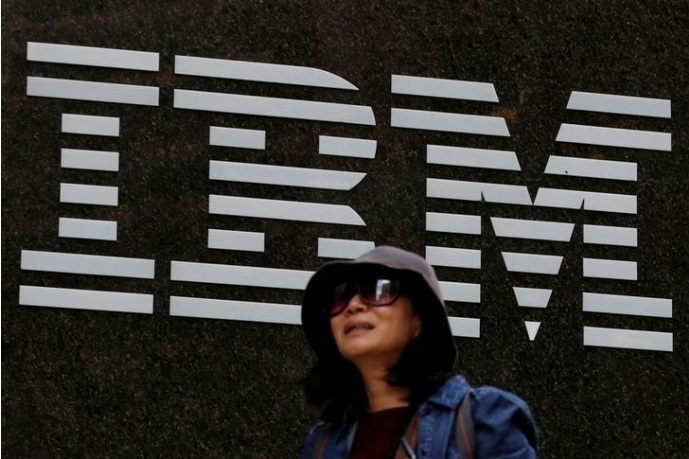 NEW YORK - Commerzbank AG, Bank of Montreal, Erste Group Bank AG and CaixaBank SA have joined an initiative launched by UBS Group AG and IBM Corp aimed at building blockchain-based technology to support trade finance transactions. IBM is also working with Nestle SA, Unilever Plc, Wal-Mart Stores Inc and other large food and retail companies on a separate blockchain project to track food supply chains. Commerzbank AG, Bank of Montreal, Erste Group Bank AG and CaixaBank SA have joined an initiative launched by UBS Group AG and IBM Corp aimed at building blockchain-based technology to support trade finance transactions.